Chris Flanagan is the head coach of the 2003 Boys and 2009 Boys teams with the San Francisco Elite Academy. He also serves as the Academy's Director of Communications. 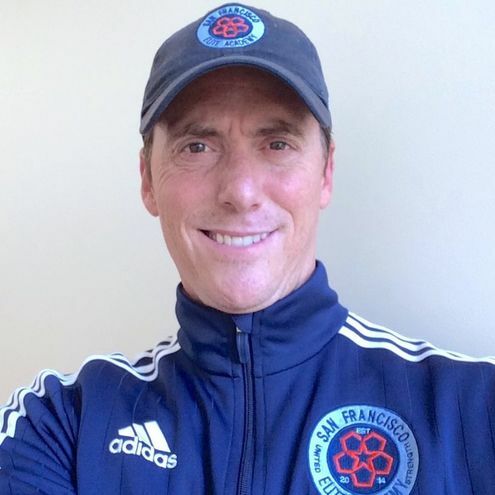 Since moving to San Francisco in 2000, Chris has coached numerous boys and girls teams, across ages, soccer and futsal, and all levels of play. Beyond the Academy, Chris serves as the assistant coach for University High School Boys' Varsity Soccer. Previously, he was the head coach of the SF Vikings 2003 Girls Red and 1999 Boys Red teams, and for several years he coached and trained top teams at Evolution FC, leading their U-12 Boys in 2014-2015 to a runner-up finish in the highest division (State) of the NorCal State Cup. In addition, Chris has held various leadership positions with SF Glens Evolution, Evolution FC, and the SMC Star Alliance. Chris’s playing experience includes the open premier divisions of the Northern Virginia Soccer League, Washington DC International League, University of Notre Dame club soccer, as well as a high school career with then state powerhouse, St. Charles Preparatory of Columbus, Ohio. His soccer coaching licensing and certification includes a USSF "B" License, National Diploma from the NSCAA, and Advanced Fiorentina from NorCal. In addition, Chris holds a BA from the University of Notre Dame, an MA in Communications from the University of Texas, as well as an MFA in Fine Arts in Writing from Pacific University. He lives in San Francisco with his wife and three children.